On Saturday, June 17 from 2 p.m. to 4 p.m., filmmakers from across the Carolinas will gather at Tapp’s Art Center for the Carolina Film Network’s First Year Anniversary. 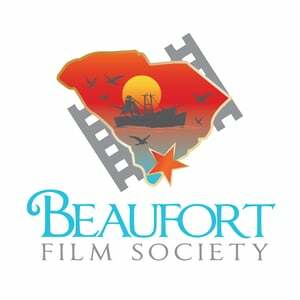 This event will showcase three films produced by local filmmakers and will include guest speaker Dan Rogers from the South Carolina Film Commission. Films screening include The Wrong Girl by Dean Ferreira, Glass by Christian Brunetti, and Cartoonish by Ken Cohen. All three films are up for the audience choice award, the winner will screen again during the second quarterly meeting. Attending the meeting as guest speaker is Dan Rogers from the South Carolina Film Commission. Rogers will be discussing resources South Carolina filmmakers can utilize such as the Indie Grants program, finding the perfect location for your film, and how to register with SCFC’s registry. Dan Rogers from the South Carolina Film Commission lead the conversation last night discussing the role the SC Film Commission plays with bringing film to South Carolina. Carolina Film Network is a non-profit organization that promotes local film in the Carolinas. It also serves as a link between entrepreneurs and industry professionals to stimulate economic growth. Carolina Film Network meets once a month in collaboration with Tapp’s Art Center. Dudeman a short film directed by Silas James Rowland will premiere during Carolina Film Network’s November Meeting tomorrow at Tapp’s Art Center. The film, which also stars Rowland is set in 1977 and follows, Dudeman Pressley, a guy who has just been robbed of his weed and money and is running out of time before his supplier George takes out the trash. Rowland started making movies when he was in 8th grade attempting to bring alternate egos to life on camera. He has produced 7 short films, over 40 skits, and is currently working on a feature film titled, Mr. Secret Agent Guy. Carolina Film Network’s November Meeting will take place at Tapp’s Art Center from 7pm – 9pm. Bait, Teenage Caligula, and The Art House will also screen at the meeting. Followed by guest speaker Dr. Carmen Maye from the University of South Carolina who will discuss Copyright Law. Carolina Film Network’s series of monthly meetings will now be held at Tapps Art Center located in the heart of the Capital City. This month will we have guest speaker Shannon Ivey who is an actress, director, activist, educator, and Tedx Presenter. During the meeting she will cover the dos and donts for actors to leaving a positive impression on a casting director. She will also discuss the steps needed and the things to look out for when casting your latest film. If there are specific questions you as an actor or director wish to be covered please send us an email at info@carolinafilmnetwork.org or leave a comment in the comment section below. Click on photo above to visit our event page.